Local numbers (e.g. 0891234567) will be converted to an international number (e.g. +33 891 23 45 67), by using the country of the contact’s address. All numbers will get the format that is the preferred format for that country (e.g. 0891234567 in Germany would be +49 89 1234567). Phone numbers with a (potential) issue are highlighted so you can take action. If there is no address available for the contact and the phone number is in an international format, then the script will add the address (country name), e.g. +49 89 1234567 will add the country Germany to the address field. A script that helps to automate searching & adding subtitles for movies and TV shows. 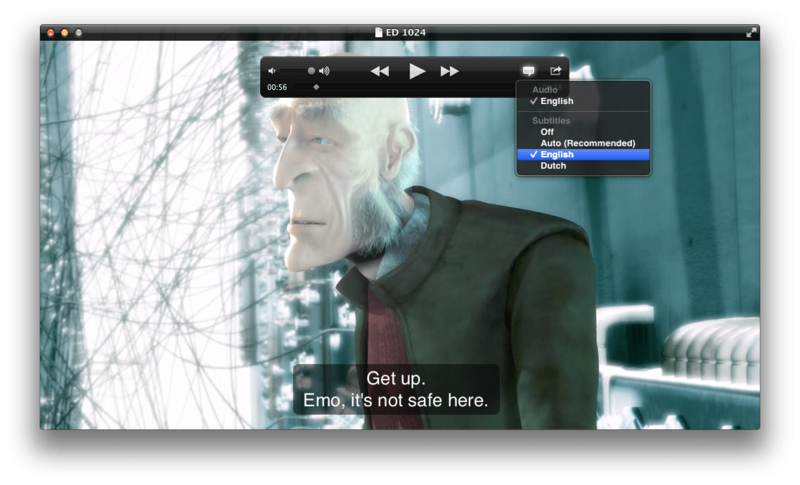 It uses subliminal for the actual search+download and MP4Box for the actual adding of the subtitles. The script is there to make all of it easier: it gives you a command line interface (CLI) to add subtitles for all video files in a certain folder, for all video files recursively, or for a specific file. If you want to monitor multiple websites and get notified if your site is down, then you can use this solution that I created: a free website monitor which is based on Google spreadsheet. 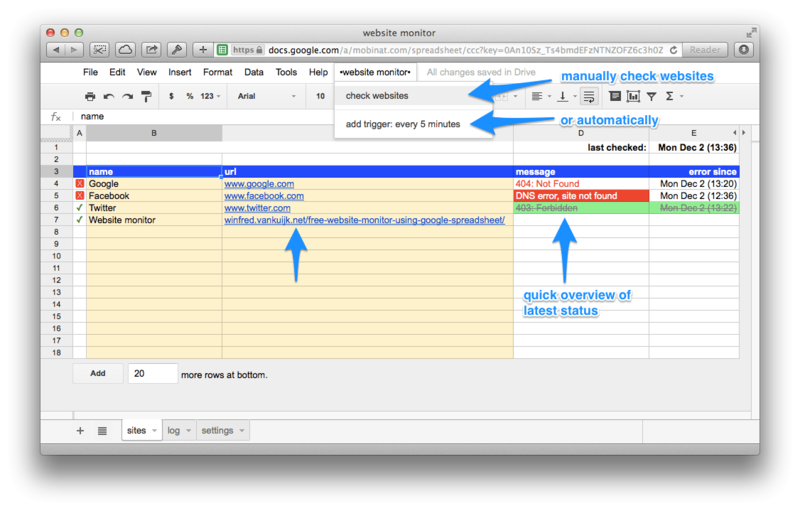 The spreadsheet consists of a script that monitors your websites at a given interval (e.g. 1, 5 or 30 minutes). You can specify e-mail recipients and you will get an e-mail when the site goes down and also when the site is up again. All changes are stored in a log. It will check for DNS issues and the most popular http errors, including page not found (404) or site not available (403). AppleScript subroutine: is there an updated version of script on server? While working on my better multi-country support AppleScript plug-in for Address Book, I was thinking of a way to check with a server to see if there was an updated version of the script. do it quick, don’t slow down the script too much. Read on for the result I came up with. Continue reading: AppleScript subroutine: is there an updated version of script on server? country address formats: it tells Contacts to use the formatting that belongs to that country (e.g. my default format is for the Netherlands, which normally means for US addresses that state is missing and zip and city are switched). Quite useful for those that have contacts in multiple countries. 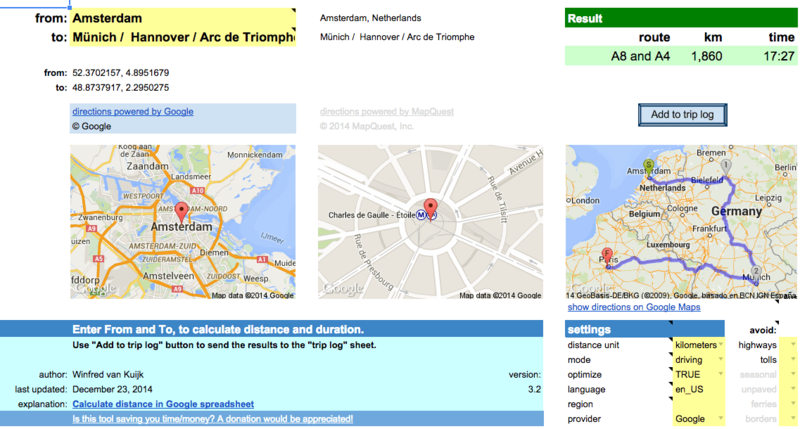 You can specify in the script what countries to check and what your preferred country names are. Missing/unknown countries are added as a group in Contacts. Simply download and run, or install as plug-in in /Library/Address Book Plug-Ins ~/Library/Application scripts/com.apple.AddressBook (location appears to have changed in 10.9.2. September 2014: v1.9 introduces progress meter (available in Yosemite), user request added (only process contacts in defined group), bug fixes.